Grittings Blog friends- happy new year! With the new year comes new year’s resolutions, and my main resolution is to have a more productive relationship with t’internet. 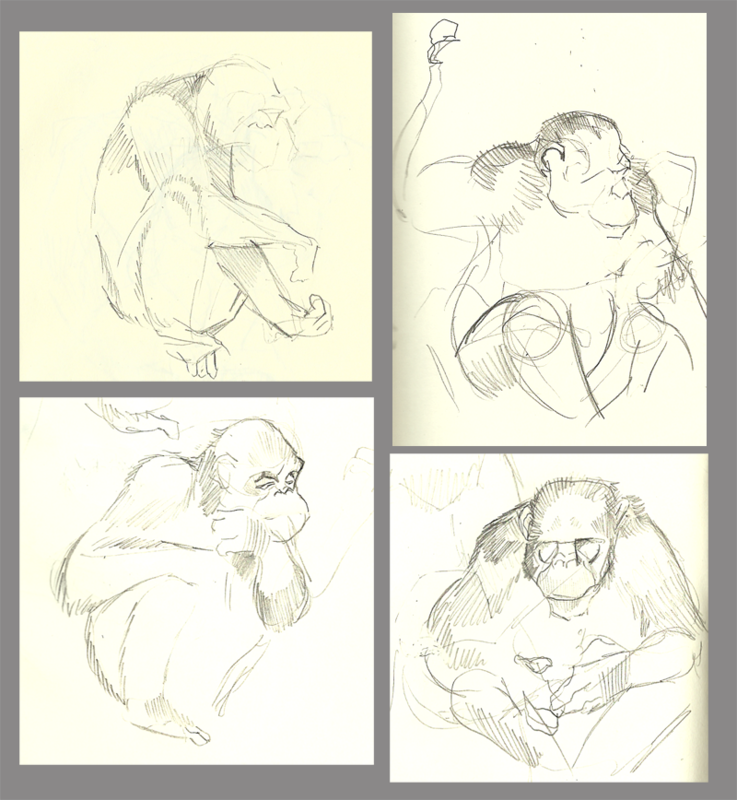 And as another of my resolutions is to get more drawing in this year I thought I’d restart this blog with some of my first chimpanzee observational sketches in 2 years. Hey Neil, really like your drawings, especially the cartoon one of your brother. You mentioned you’d like to get drawing more. I go to life-drawing drawing classes when I can, have left the link below. It’s central, very reasonably priced and it’s generally pretty quiet, esp this time of year I guess.